Sony Ericsson has confirmed it is moving towards shedding the Memory Stick Micro from its handsets, replacing said tech with microSD instead. The news was garnered from Sony Ericsson's Global Marketing Director Fortuné Alexander after the recent launch of the Satio, Aino and Yari all came with microSD card slots. 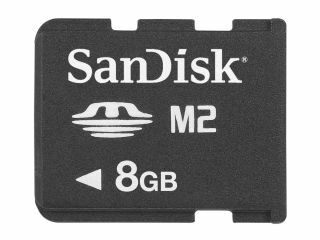 When asked if it was soon to be game over for Sony's proprietary memory card in mobile phones, Alexander confirmed: "Yes, we are moving in that direction." He apparently decided not to elaborate further, but we'd guess this means most of the higher end devices will sport microSD slots, with the format filtering quickly down to lower end devices. It makes sense for Sony Ericsson to move to more universal formats in order to cut production costs, which in part explains the company's decision to move to a universal charger system too, as was announced at Mobile World Congress in February. However, doing so does cut the head off one particular cash cow: namely the lucrative after-sales market. Perhaps SE saw it wasn't making as much money thanks to third party vendors and the fact everyone seems to have around 30 Sony Ericsson chargers in their loft, and decided to jump on the universal bandwagon.